I've worked with runners, swimmers, golfers, tennis players, weight lifters, baseball players, volleyball players, bicyclists, and so on. The key to effective performance is always openness and balance of the body and the perceptual/intentional field. Here I will examine golf as an example of how the Aiki-based body training I have developed can be applied to sports. The first two photos show how the golfer was accustomed to playing before she started lessons with me. 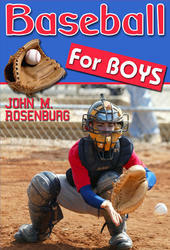 Note how as she addresses the ball her arms and legs are stiff and her awareness is confined to her shoulder area and the ball. This is even more apparent in the way she swings her golf club. She ignores her legs and hips and swings from her waist, shoulders, and arms. Actually this is very similar to the photo of me hoeing in the incorrect manner. 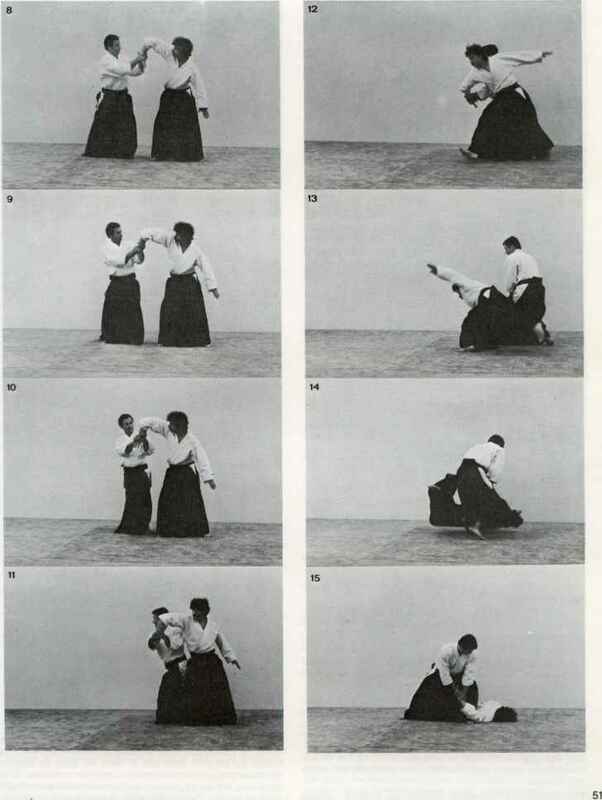 The over-use of shoulders and arms, and the location of awareness high in the body form a fundamental movement style that is encouraged by the Euro-American culture. 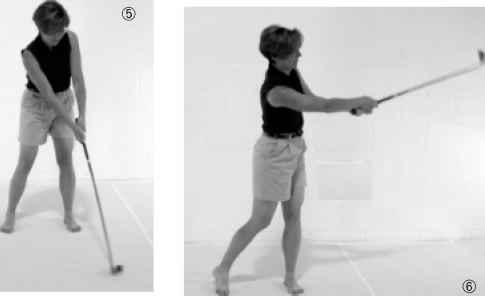 It is clear in the motion of the swing (photos #4 and 5) and the follow through (#6) that the golfer is more balanced and free in her posture, more fluid in her movements, and more expansive in her awareness.